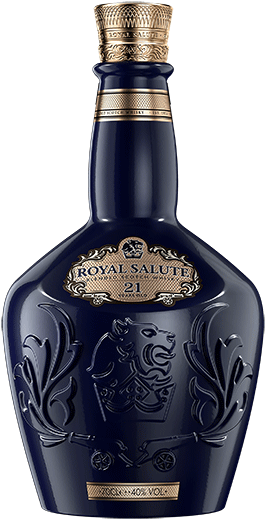 Royal Salute is a luxury Scotch whisky created to commemorate the coronation of Queen Elizabeth II of England. It is now the global market leader for whiskies aged over 21 years. The deep gold colour of the whisky reflects the power and richness of the flavours. Soft fruity aromas are balanced against a delicate floral fragrance and mellow, honeyed sweetness. 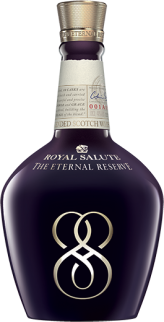 This exceptional whisky blends together rare and precious whiskies, married in 88 different casks. The unique Circular Blending™ process preserves the original blend in every subsequent batch for decades to come. With notes of cedar wood, almonds, dry fruit and spice, this Scotch whisky is blended only from whiskies aged in oak casks for at least 38 years. 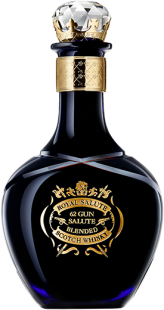 As the pinnacle of the range, this whisky takes its name from the highest military salute, the “62 Gun Salute” fired from the Tower of London to mark royal anniversaries. 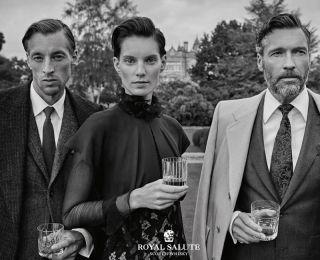 Since 1953, only four people have had the privilege of serving as master blender for Royal Salute. Each has contributed towards creating outstanding blends. And this is set to continue. 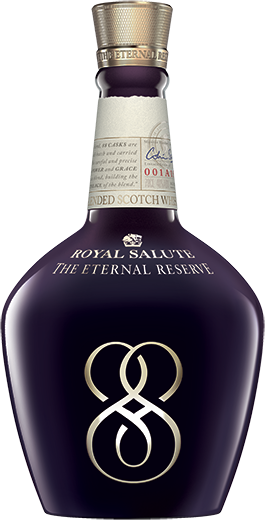 Drawing on Chivas Brothers' outstanding whisky stocks built up since the 19th century, Royal Salute is able to produce prestigious blends of aged whiskies. 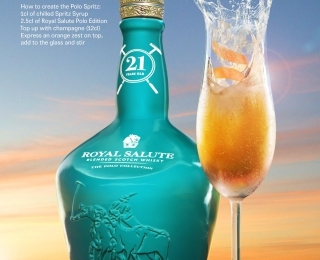 The first bottles of Royal Salute were made for the coronation of Queen Elizabeth II in 1953. 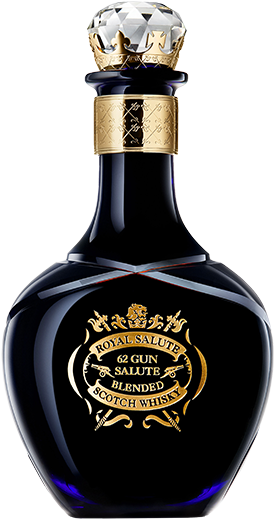 Created using some of the world's rarest whiskies aged in cellars since the 1920s and 1930s, this exceptional blend takes its name from the Royal Navy's traditional 21-gun salute used to show respect to important figures. New prestigious versions have since completed the range. 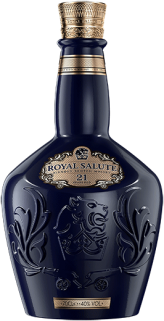 Today, Royal Salute is still the only Scotch whisky with a range containing exclusively whiskies over 21 years old.